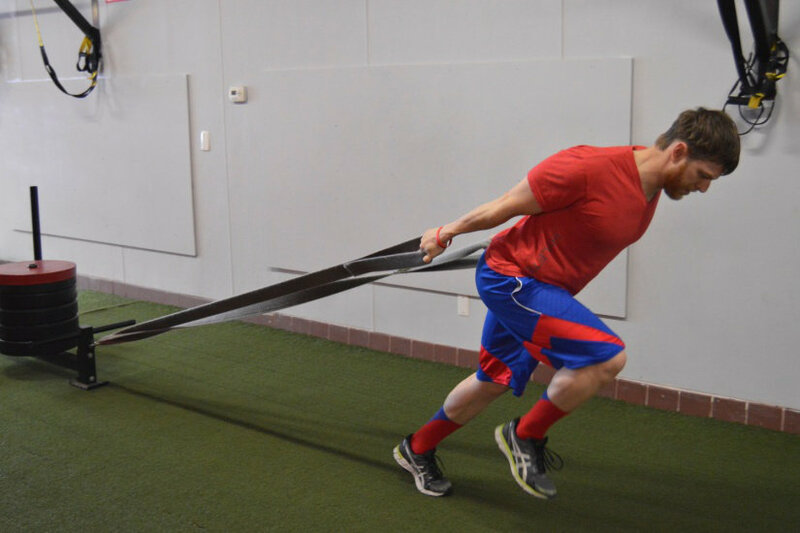 Sled training is a common tool used when looking to enhance sprint performance in many sports. Previous research has shown significant improvements in short sprint speed in trained and semi pro athletes as well as recreational athletes [4-7]. 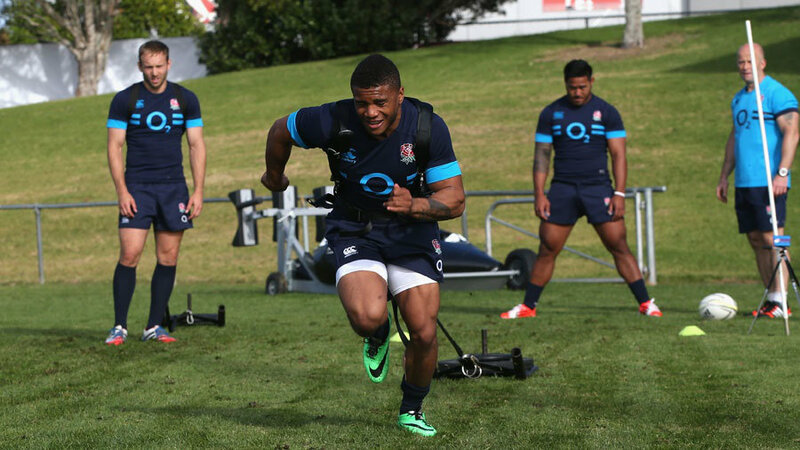 As well as this, heavy sled training forces that athlete to run slow, allowing for an enhanced opportunity to produce force in a forward-orientated which is not possible during a light sled sprints . Until recently, no one has looked into sled training at loads greater than 43% of body mass and the effects of heavy sled training on kinetic sprint variables . Furthermore, the optimal load for maximising power output during a sled sprint has not been investigated and may be an important factor in improving sled training protocols and overall sprint performance. Is There An Optimal Load To Maximise Power? A new paper by colleagues Cross et al. investigated the optimal load for maximising power production during sled sprinting. The load at which power is maximised is generally viewed as an effective means to improve maximal power output (Pmax) . Hence the general percentage recommendations for certain exercises such as bench throws should be 30% of your bench press max. 12 recreational level mixed sport athletes and 15 highly trained sprinters participated. 7 loading protocols were prescribed (unloaded, 20, 40, 60, 80, 100, 120% of body mass). This was to obtain a power-velocity curve where power will peak at a certain velocity which is inversely related to the load being dragged (i.e. the lighter the load, the faster you run). Distances for each load were as follows: unloaded = 45m, 20% = 40m, 40% = 30m, 60% = 30m, 80% = 30m, 100% = 20m, 120% = 20m. These were obtained by the author’s pilot study where each distance is approximately what would be required to reach maximal velocity under each condition. The optimal load where power is maximised was expressed at 78% for the recreational group and 82% for the sprinters group as an average. Both groups presented a wide range of optimal loads where recreational athletes ranged from 69-91% and sprinters from 70-96% of body mass. This highlights the importance of individual force-velocity characteristics which will be discussed in a future article. Currently, sled loading recommendations have been towards the light side of body mass at approximately 10-13% BM in order to minimise negative transfer to sprinting mechanics [2, 3, 10, 11]. However, these light loads most likely don’t provide an effective stimulus for maximising horizontal power . In light of this research, sprinting with a heavy sled could potentially be an effective method for improving Pmax and therefore speed. Lucky for us, a new paper has recently been published investigating these new findings. Morin et al. investigated the effects of very heavy sled training in 16 male amateur soccer players. Athletes were randomly assigned to either a control group (sprints with no resistance 2x/week), and a very heavy sled (VHS) group (sprints with load at 80% body mass 2x/week). VHS mixed resisted and unresisted sprints with progressively increasing the number of resisted sprints over the 5 week intervention. Pre and post sprint testing consisted of 30m sprints measured with a radar device which allows collection of kinetic data such as force, velocity and power as well as sprint times. Horizontal force showed a likely moderately positive improvement in the VHS group (6.12%: ES = 0.80) from pre to post intervention whereas the control group showed unclear changes (1.86%: ES = 0.20). NOTE: ES means effect size. A larger effect size indicates a stronger effect of the intervention and is more meaningful on a practical level rather than statistical level such as p-value. Pmax showed likely small positive improvements in VHS group (5.30%: ES = 0.59) while likely trivial positive improvements were seen in the control group (2.14%: ES = 0.14). Velocity showed unclear changes in the control group (0.60%: ES = 0.09) and possible negative trivial changes in the VHS group (-0.77%: ES = -0.16). In regards to sprint performance improvements, VHS group showed likely moderate positive improvements in 5m and likely small positive improvements in 20m sprint times (3.12%: ES = -0.68, -1.21%: ES = -0.40 respectively). The control group made possible small positive improvements in 5m and likely trivial positive changes in 20m sprint times (-0.98%: ES = -0.23, -0.58%: ES = -0.12 respectively). In terms of mechanical effectiveness of sprinting, maximal ratio of force (RFmax) had very likely moderate positive improvements in the VHS group as well as likely moderate negative changes in the decrease in ratio of force (Drf) (5.13%: ES = 0.95, 6.09%: ES = 0.66 respectively). The control group showed unclear changes in both variables. As in a previous article HERE about sprinting with the ball in one or two hands, RFmax and Drf are defined where RFmax is the proportion of force produced in the horizontal direction of the total force produced while Drf is the rate in which the RF decreases as velocity increases. Meaning the proportion in which force is produced horizontally decreases as the athlete accelerates . The load in which power is maximised during sled training is far greater than previous sled training recommendations (78-82% of bodymass). A large discrepancy in optimal load values highlights the importance in force/velocity characteristics where an athlete may be more force or velocity dominant. Well trained sprinters exhibited greater Pmax values compared to recreational athletes. It has been shown that training at loads far greater than previously recommended enhances force/power characteristics, mechanical effectiveness of sprinting and short sprint performance in amateur soccer players. Contrastingly, VHS had a negative impact on Drf which is likely due to the VHS intervention focusing largely on the force side of the F/V equation which is evidenced by the trivial negative changes in velocity in this group. How Does All Of This Influence Your Training? If you are looking to enhance the effectiveness of your sprint training, VHS is a way to enhance horizontal force production and effectively orientate force in the horizontal direction. According to the above research, training at loads of approximately 80% of body mass maximises power during the sled sprint potentially enhancing Pmax by a greater degree than lighter or heavier loads. It is important to note, VHS training sits on the force side of the power equation. To cover your bases, velocity training should also be performed through a variety of jumps, hops, bounds and sprints. Without looking at the technical aspects of sprinting, for athletes who are already strong (such as squatting 1.5xBW) but are still slow, VHS may help with orientating more force horizontally. A good place to start would be performing heavy sled sprints 3-4×10-40m 2x/week. Zafeiridis, A., Saraslanidis, P., Manou, V., Ioakimidis, P., Dipla, K., & Kellis, S., The effects of resisted sled-pulling sprint training on acceleration and maximum speed performance. Journal of Sports Medicine and Physical Fitness, 2005. 45(3): p. 284-290. Spinks, C., Murphy, A., Spinks, W., & Lockie, R, THE EFFECTS OF RESISTED SPRINT TRAINING ON ACCELERATION PERFORMANCE AND KINEMATICS IN SOCCER, RUGBY UNION, AND AUSTRALIAN FOOTBALL PLAYERS. Journal of Strength and Conditioning Research, 2007. 21(1): p. 77-85. Harrison, A., & Bourke, G., THE EFFECT OF RESISTED SPRINT TRAINING ON SPEED AND STRENGTH PERFORMANCE IN MALE RUGBY PLAYERS. Journal of Strength and Conditioning Research, 2009. 23(1): p. 275-283. Slawinski, J., Termoz, N, Rabita, G, Guilhem, G, Dorel, S, Morin, J.B, Samozino, P., How 100-m event analyses improve our understanding of world-class men’s and women’s sprint performance. Scandinavian Journal of Medicine & Science in Sports, 2015. Epub. Morin, J.B., Bourdin, M, Edouard, P, Peyrot, N, Samozino, P, and Lacour, J.R., Mechanical determinants of 100-m sprint running performance. European Journal of Applied Physiology, 2012. 112: p. 3921-3930. Morin, J.B., Slawinski, J, Dorel, S, Saez de villareal, E, Couturier, A, Samozino, P, Brughelli, M, and Rabita, G., Acceleration capability in elite sprinters and ground impulse: Push more, brake less? Journal of Biomechanics, 2015. 48(12): p. 3149-54.
de Lacey, J., Brughelli, M.E, McGuigan, M.R, and Hansen, K.T., Strength, speed and power characterisitics of elite rugby league players. Journal of Strength and Conditioning Research, 2014. 28(8): p. 2372-2375. 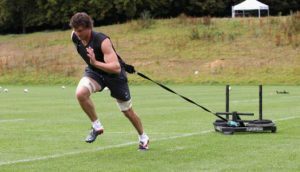 Morin, J.B., Petrakos, G, Jimenez-Reyes, P, Brown, S, Samozino, P, Cross M., Very-heavy sled training for improving horizontal force output in soccer players. International Journal of Sports Physiology and Performance, 2016. Epub. Cross, M., Brughelli, M., Samozino, P., Brown, S., Morin, JB., Optimal loading for maximising power during over-ground sled resisted sprinting. International Journal of Sports Physiology and Performance, 2016. Epub. Lockie, R., Murphy, A, Spinks, C., Effects of resisted sled towing on sprint kinematics in field-sport athletes. Journal of Strength and Conditioning Research, 2003. 17(4): p. 760-767. Alcaraz P, P., J, Elvira, J., Determining the optimal load for resisted sprint training with sled towing. Journal of Strength and Conditioning Research, 2009. 23(2): p. 480-485. Morin, J.B., Samozino, P., Interpreting Power-Force-Velocity Profiles for Individualized and Specific Training. International Journal of Sports Physiology and Performance, 2016. 11: p. 267-272.